Looks great! I recently attended a class on using Libguides to create your library’s mobile site. It was easier than I expected and looked fantastic! There are just so many options. Thanks! I don’t often gush over products, but I’ve been really pleased with the customization options and all of the different ways Libguides can be used. P.S. Your blog is amazing. 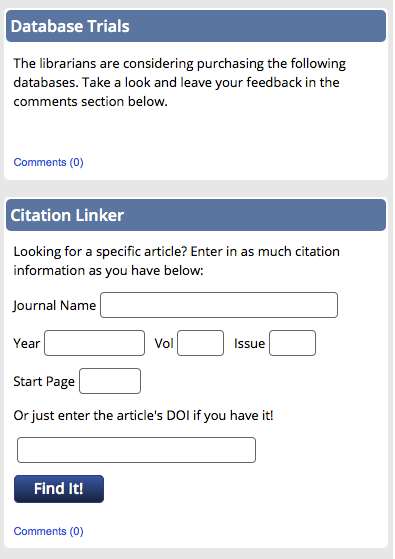 I like how this looks – definitely updated and more visually pleasing than ResearchPort. And did you embed this guide in your website frame? (Does that make sense?) 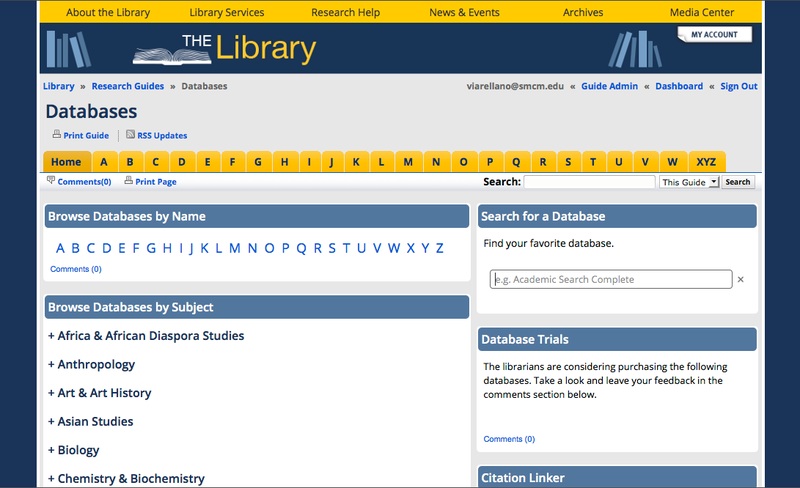 Our’s looks like a completely different site (lib.guides.umd.edu). I like the visual consistency! Thanks! Glad you like it. 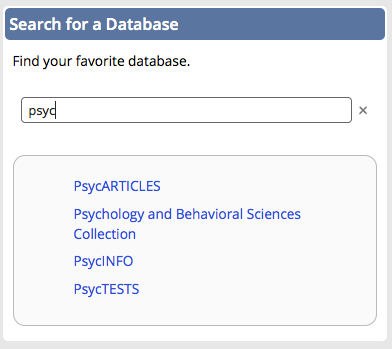 I think as a campus we’re ready to move away from ResearchPort for both databases and journals. Our Assoc. 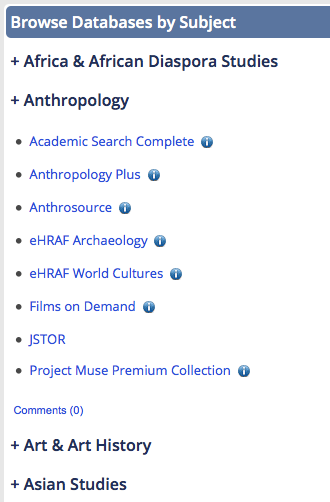 Director is looking into Ebsco A-Z for ejournal access. Libguides is super-customizable so I just added in a custom header and custom css to give our guides the same look and feel as the rest of our website (minus the college header, which took up too much real estate). I hope that answers your question! Definitely! It’s good to know how customizable Libguides is.